HPE is the worldwide leader in tape drives, media and automation. HPE StoreEver Tape Storage addresses all your long-term retention needs with tape media, standalone tape drives, autoloaders and tape libraries. 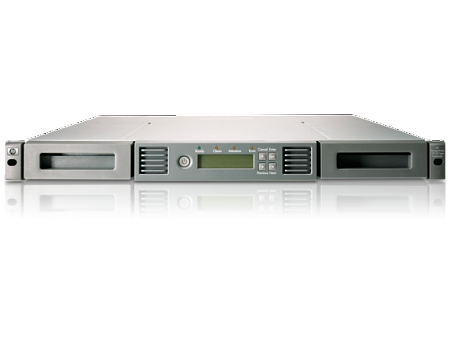 Latest generation LTO-8 Ultrium media offers up to 30TB storage capacity per tape, and over 30 year data protection - increasing performance and reliability of midrange tape systems. With modular tape systems susg as the StoreEver MSL3040 and StoreEver MSL6480, data users can easily scale as capacity demands. For true enterprise-class performance, the HPE StoreEver T950 library provides support for LTO-8 Ultrium, IBM 3592 and Oracle T10000 data archive environments. The entry point for the HPE StoreEver Tape family, HPE StoreEver Tape Drives, sets new standards for capacity, performance, security, usability and manageability for SMB and single server environments. 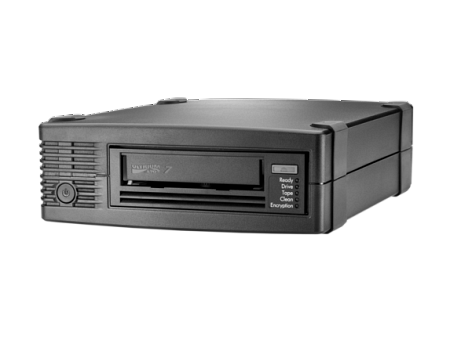 With latest generation LTO-8 desktop drives now available, users can reliably store up to 30TB compressed data on a single tape cartridge. Meeting the data protection and retention needs of entry-level or remote office environments, the HPE StoreEver 1/8 G2 Tape Autoloader provides cost-effective, easy-to-install, unattended automated tape storage in a compact 1U form factor.